Learn a simple, reliable and strategic process for designing a brand that stands out from the crowd. In this class, Courtney will let you in on one essential piece of the branding process she's used with her own clients for the past 10+ years—the Competitive Analysis. The Competitive Analysis is a visual document that will help you to find your own unique place in the competitive landscape. You'll go through the process step-by-step, so that you can take this knowledge and use it to ensure your choices are pointed in the direction of differentiation, as opposed to more of the same—whether you use it in your own client work, or for your own brand. How to create your competitor list. How to gather relevant content to compare, contrast and analyze. 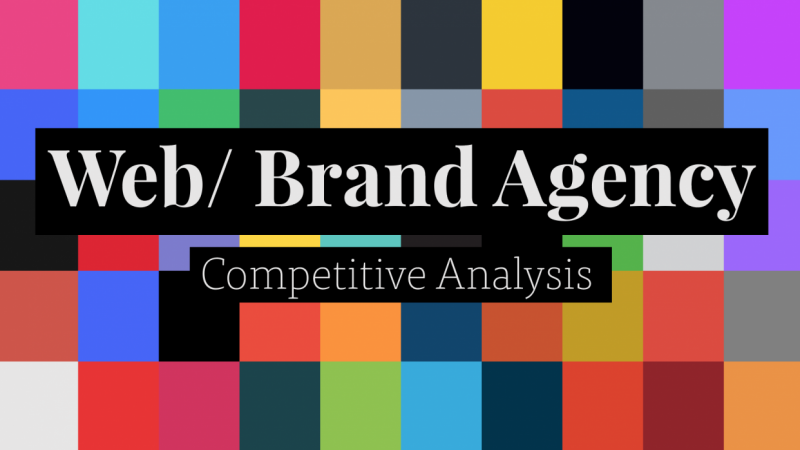 How to analyze competitor brands by identifying patterns and drawing conclusions. How to uncover opportunities in what you see. How to wrap up all of your conclusions in an easily digestible document. And since you'll be focusing more on concepts, as opposed to particular design techniques, this class is simple enough for anyone to jump right into. No experience required. More are coming soon. Follow Courtney to be notified right when new classes launch. You can find more from Courtney at En Route Workshop and on Instagram. Hello! I'm Courtney Eliseo, the founder of En Route Workshop, where I help people bring brands to life through thoughtful brand strategy, development and design.